I like this picture of my brother and me. It is from our leaner days. 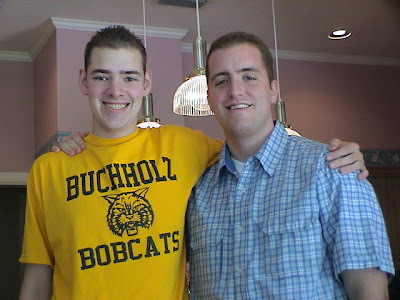 Today he turns 25, a great brother, uncle, and friend. I'm glad he's here with us in Gainesville. HE HATES IT WHEN I CALL HIM "BOY!"